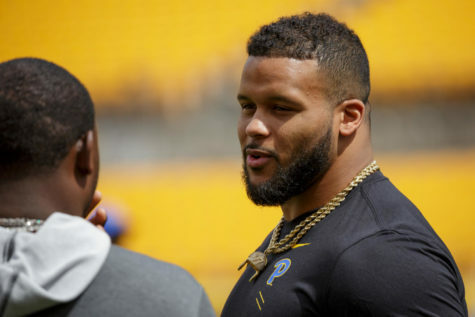 With a new coach, quarterback and swagger, the Pitt football team is positioning itself as a conference contender.. Following Staurday’s road win at Georgia Tech, the Panthers are now at the top of the ACC Coastal with a 3-0 conference record, while finding themselves ranked 25th in the Associated Press top 25. 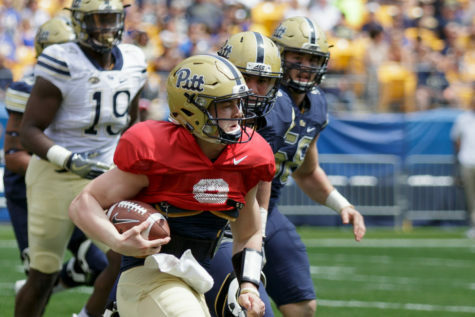 Pitt head coach Pat Narduzzi looked back on the game, the ranking breakthough and his quarterback’s performance in his weekly press conference Monday. 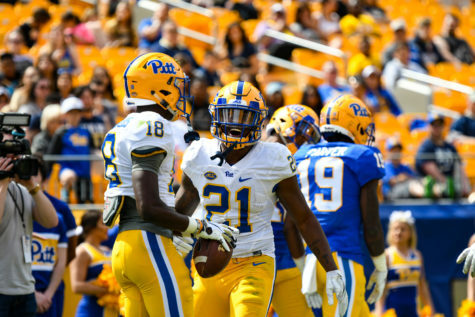 Pitt’s standing in the top 25 marks the first time the poll has placed Pitt since 2010. It’s a considerable achievement for a team that went 6-7 last year, though Narduzzi brushed the recognition off as meaningless at this point in the season. “I came in here last night and congratulated them, but really, what does it mean? 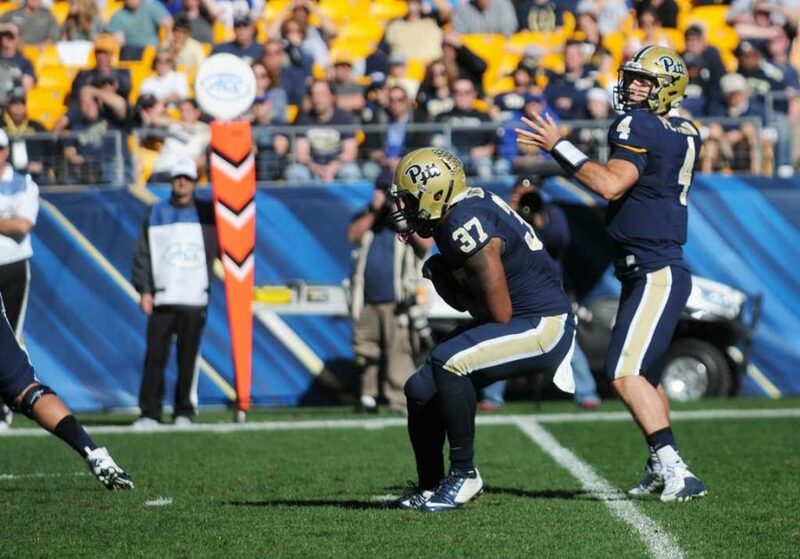 It doesn’t mean a thing until the end of the season,” Narduzzi said. Narduzzi knows that Pitt’s spot in the rankings can vanish in an instant. 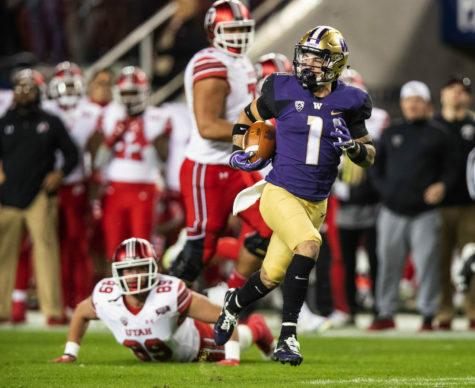 He added that the AP poll saw a number of teams ranked in the preseason only to fall out quickly after lackluster performances. There is greater accomplishment in garnering the recognition during the season, Narduzzi said. It means that his team earned it as opposed to a team that earned the ranking in the preseason. That ranking is paired with a 5-1 record, which Narduzzi values more. “5-1 is the success. It’s not the number that they put next to our name,” Narduzzi said. Though he doesn’t think much of the ranking, Narduzzi expects competitors to now look at his team as target. 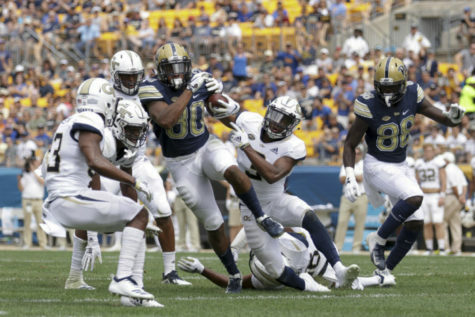 Though the 31-28 win against Georgia Tech was the final result for which Pitt aimed, their run defense was helpless at times against the Yellow Jacket’s tricky rushing scheme. Georgia Tech’s triple-option offense ran for 376 yards that afternoon. Because of the particularity of the triple-option offense as opposed to more conventional offenses, Narduzzi doesn’t take the suboptimal performance as an indictment of his defense. 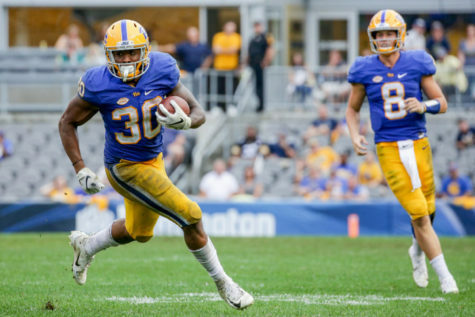 Pitt will revisit that tape multiple times during the offseason, Narduzzi said, but will move forward from their performance against the triple-option for now. Narduzzi still gleaned a positive angle from the overall subpar performance. After letting up 21 points in the first half, the Panthers allowed just seven in the second. Narduzzi credits that in part to their changes at the intermission. Another game, another accurate performance for quarterback Nathan Peterman. Against Georgia Tech, Peterman completed 14 of 21 passes for 162 yards and three touchdowns. On the year, Peterman has now completed 66.7 percent of his passes and compiled a 9-to-3 touchdown to interception ratio. Peterman’s completion percentage ranks 18th in the country while his quarterback rating of 157.8 stands at 13th. Narduzzi was complimentary of his signal caller’s play. Pitt offensive coordinator Jim Chaney helps guide Peterman to success, Narduzzi said.